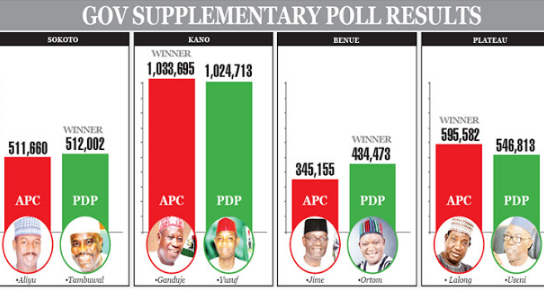 The Independent National Electoral Commission released results of the supplementary governorship polls it conducted in some states at the weekend after it declared the March 9 poll in the affected states inconclusive. 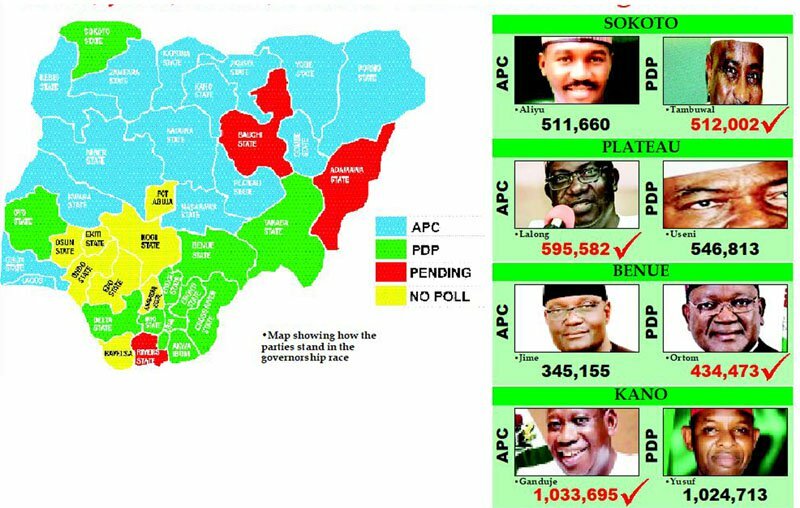 The states where the governorship run-off poll was held on March 23 are Sokoto, Plateau, Kano, Benue and Bauchi. 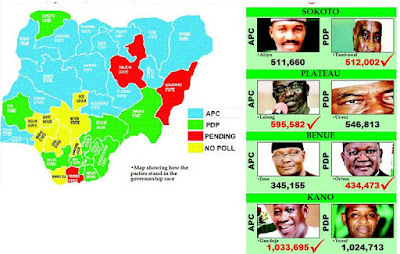 INEC has declared governors-elect in four of the states. Sokoto State Governor, Aminu Tambuwal and his Benue State counterpart, Samuel Ortom, fought hard battles to emerge victorious at the supplementary election conducted in their states on Saturday. Also, Governor Simon Lalong of Plateau State and his Kano State counterpart, Abdullahi Ganduje of Kano State, were also returned elected by INEC. Lalong and Ganduje are APC candidates while Tambuwal and Ortom contested the election under the platform of the PDP. The Resident Electoral Officer, Mallam Sadiq Musa, had earlier said the declaration of the winner would be based on a simple majority, The Punch reports.